Eilot- Country Lodging Hotel Eilat offers families, individuals, or groups the opportunity to enjoy the unique kibbutz experience only 3 kilometers from Eilat. 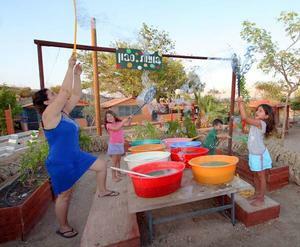 Enjoy the peaceful atmosphere of the kibbutz, with its extensive lawns and gardens, while discovering the attractions of Eilat. Eilot- Country Lodging Hotel Eilat presents 22 two-room apartments (The hotel rooms may accommodate up to 6 persons) offering 2 TV and a kitchenette equipped with a refrigerator, an electric hotplate and coffee/tea-making supplies. Also 18 rooms for couples include a TV, a refrigerator, coffee/tea-making supplies and a furnished porch. 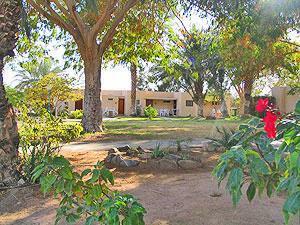 Eilot Kibbutz Country Lodging Hotel is situated in The southernmost kibbutz in Israel, only 3 kilometers from Eilat. 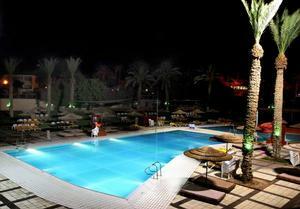 Enjoy the peaceful atmosphere of the kibbutz, with its extensive lawns and gardens, while discovering the attractions of Eilat.